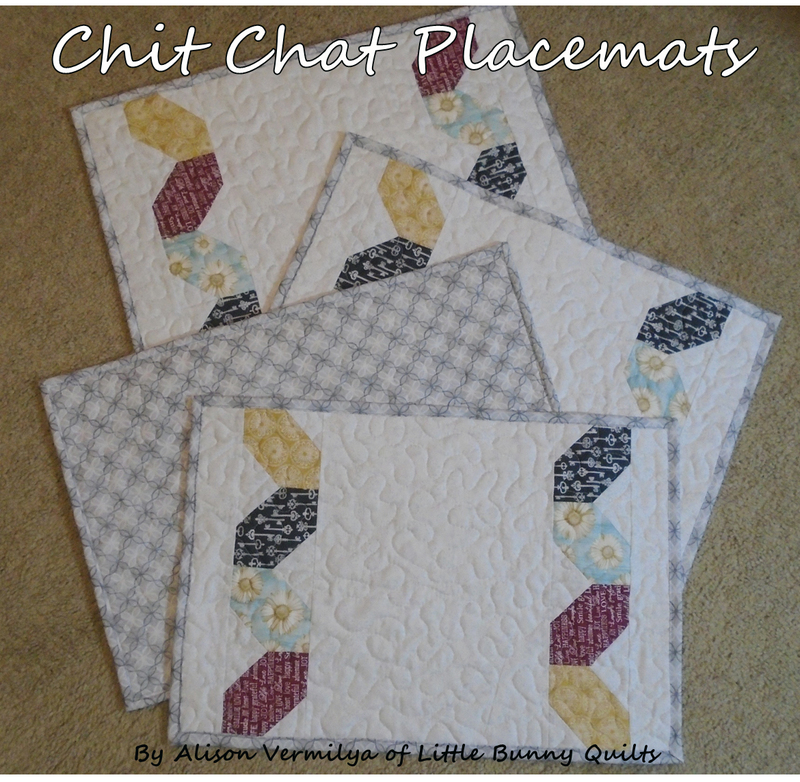 Today Alison from Little Bunny Quilts is sharing a tutorial to make her Chit Chat Placemats using 3" squares of the fabric. Fun and easy to make! Head over to Alison's blog to check out the tutorial and enter to win a bundle of fabric. My favorite small projects are pouches, mug rugs and small covered books. I really love to make quilts for new babies. For some reason, I really like the fabric with keys. I always enjoy the tutorials that come from these blog hops. Thank you. Alison did a great job on these placemats and has such a good tutorial too. These are such fun fabrics. My favorite small project was boxy pouches. I made over 100 of them!